Most people know that lawn care is a time consuming affair, especially if you are trying to do it all yourself while living your day-to-day life. Maintaining a healthy, green lawn and well-manicured landscape can be overwhelming! It takes a lot of time to learn how to properly maintain your lawn and shrubs, and without the proper knowledge, you’ll often spend long hours on maintenance without attaining your desired results. This is where a professional Tampa lawn care service can help you achieve the desired results that you are looking for. Finding the right lawn care company in Tampa Bay is not always an easy task. With so many lawn care companies out there offering their “excellent” service, who can you trust? You can trust the experts at Green Solutions Lawn Care to take care of all of your lawn care, lawn maintenance and shrub care needs. 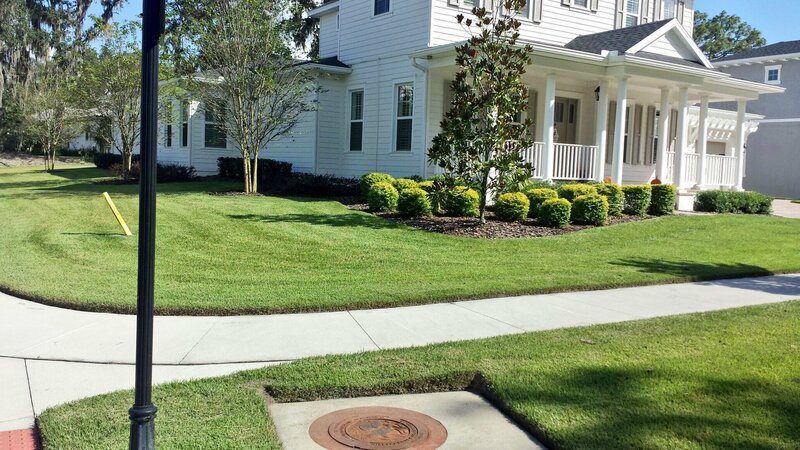 If you’re looking to simply clean up your lawn and keep your grass cut, or you’re looking to achieve a healthy lawn with perfectly prunedd plants, we have the Tampa lawn care services that you are looking for. At Green Solutions, we provide: turf damage repair, lawn insect control, lawn fungus control, ornamental plant care, shrub care and lawn moving services. We can have your yard looking exactly how you’d like and we will sit down with you to discuss what you are looking to gain from our lawn care services today. By using our lawn services, your shrubs will be blooming like never before, and your grass will be at its healthiest state. We use a specialized fertilizer that not only helps your shrubs and grass to thrive, but keeps pests away, which are a common cause for many lawn related problems. You don’t have to look around trying to find the best company for your lawn care needs; because we have everything you need and back up our services with a guarantee that you will be satisfied with the end result. Why take your time trying to find the best lawn care service and maintenance company for your needs when you can choose a company with a reputation we are proud of. Who better to maintain and care for your prized lawn than Tampa’s number one pest control, lawn care and lawn maintenance company green Solutions. If you are looking for results and a lawn that you will feel proud of, call us today to request more information. We will be happy to provide you with a free consultation with Florida’s best lawn care and pest control specialists. Don’t waste another day without the beautiful lawn you deserve! Contact us so we can start working hard for you.